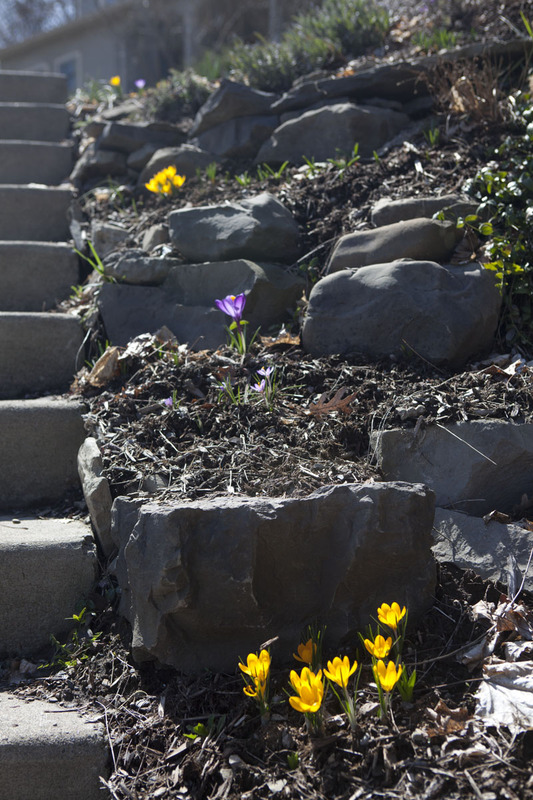 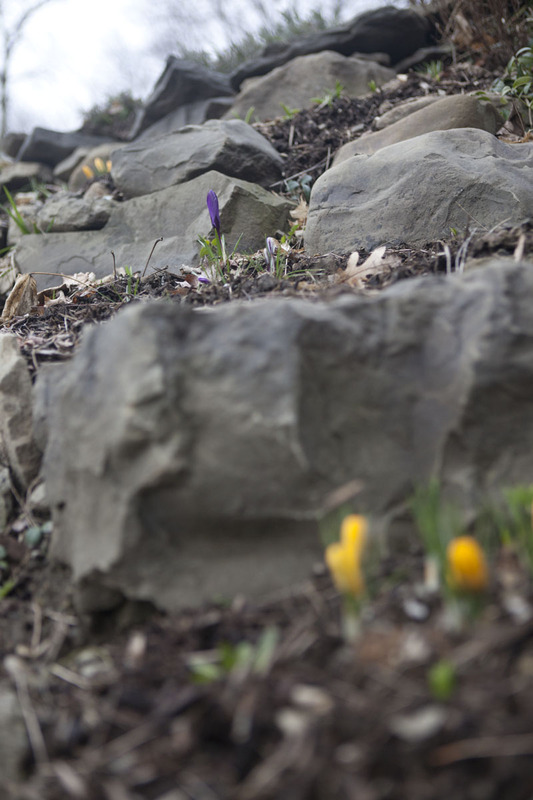 Views of the terraced rock garden... April 8 and April 9th. 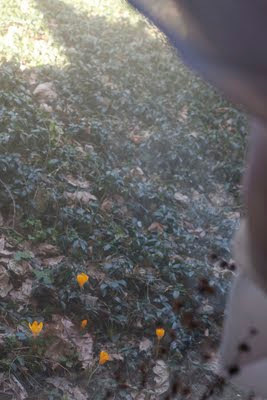 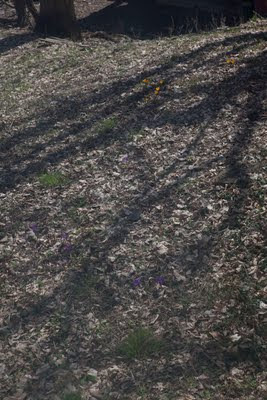 View from the bedroom... it is hard to see, but there are dozens of yellow and purple crocuses in the leaf-littered lawn. 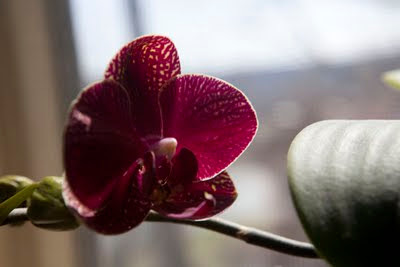 My Ikea orchid, in bloom again (3rd year). 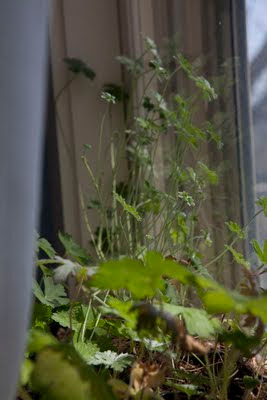 Hardy geraniums flourishing in the sunny window in my bedroom. 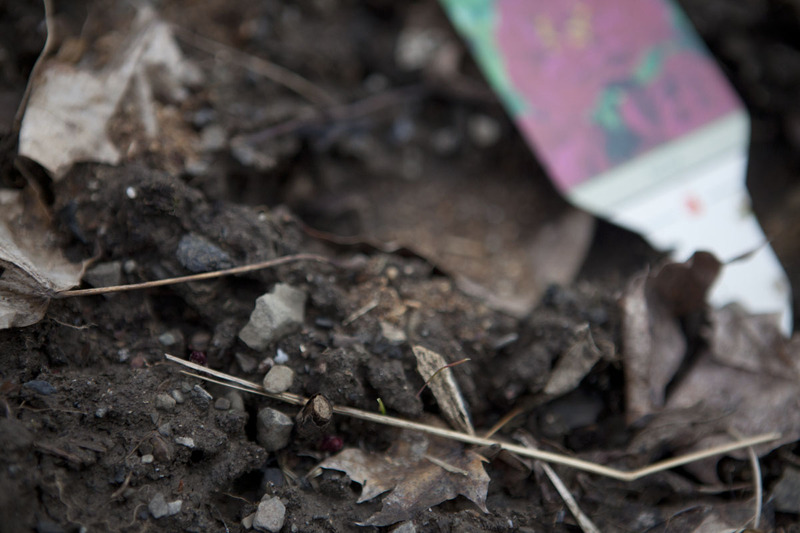 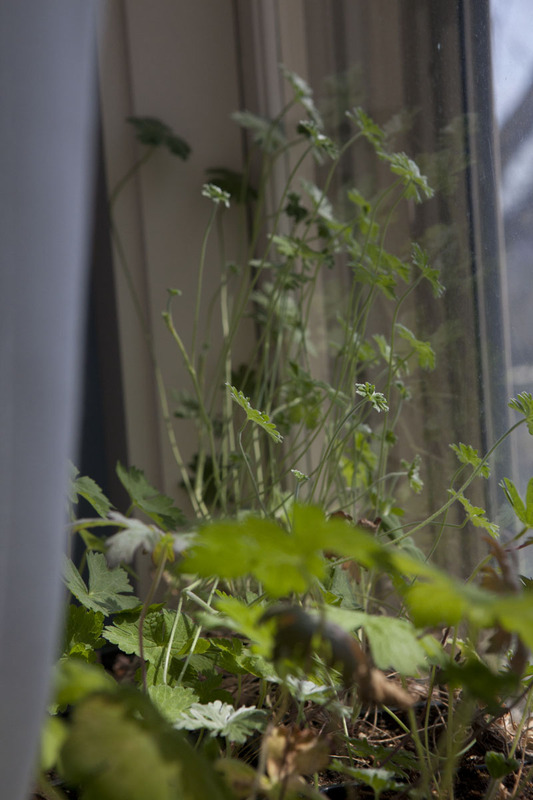 They're some of the only plants that made it through the winter in less-than-ideal conditions on various windowsills. 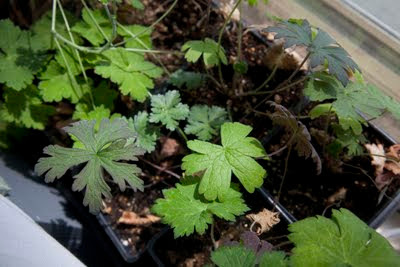 They were started in late summer and autumn from seed. This seems to be the only hardy geranium that made it through the winter outside. 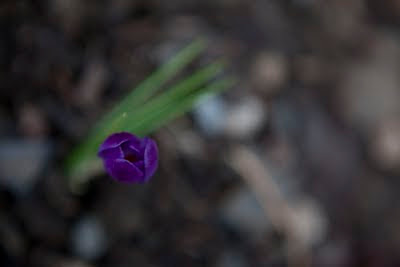 It was the strongest to begin with... the other two were a bit wishful! 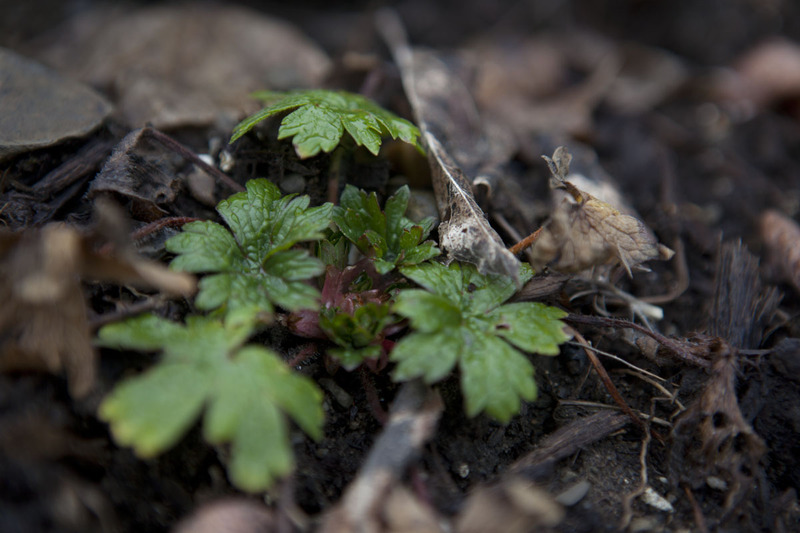 First signs of the brand new peony, planted as a bare root last fall. 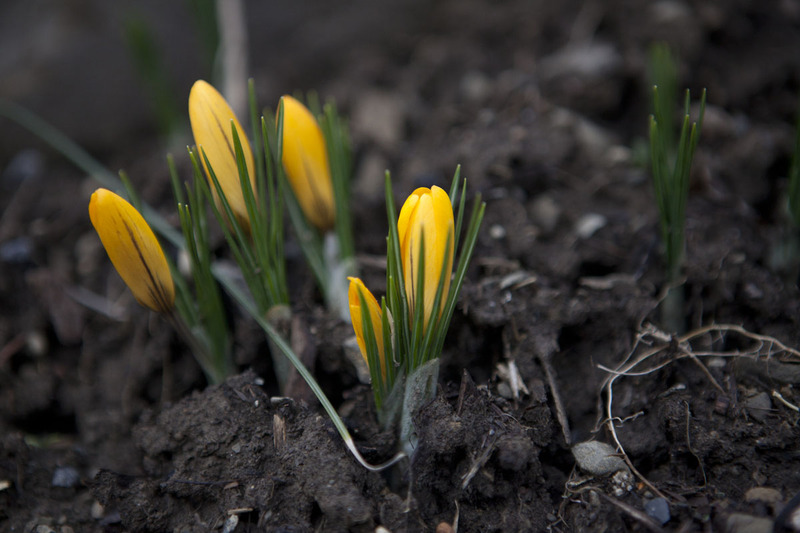 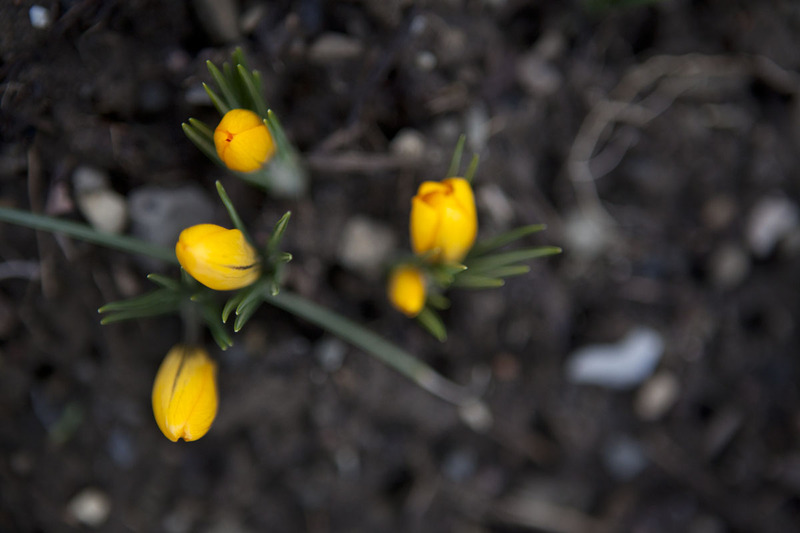 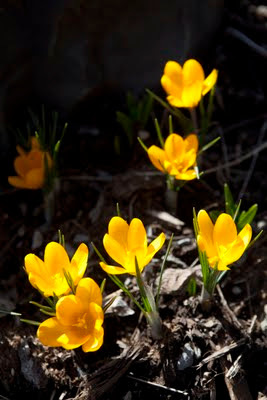 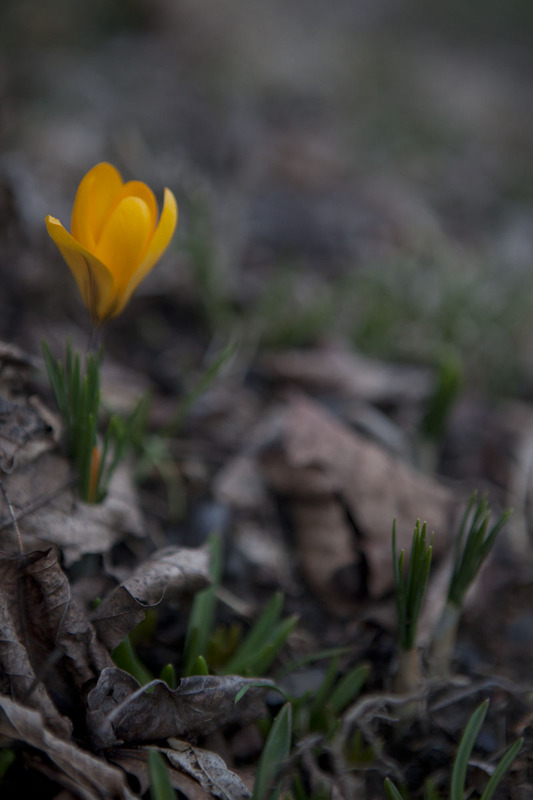 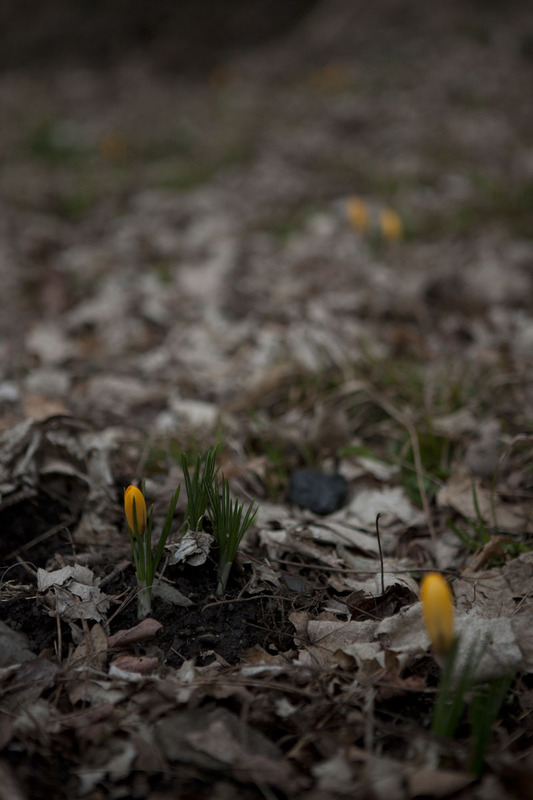 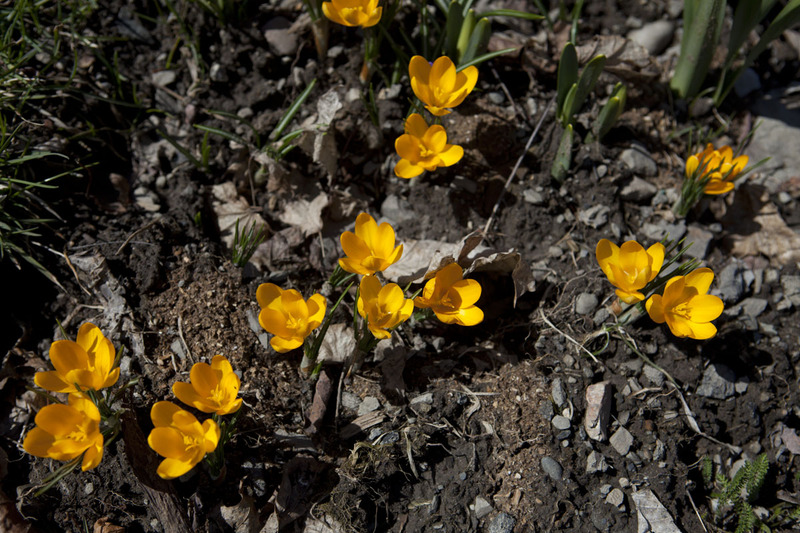 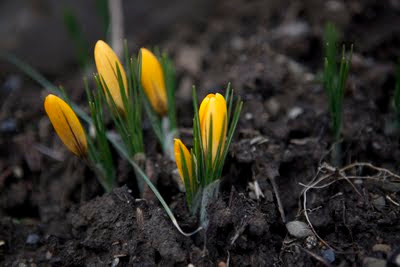 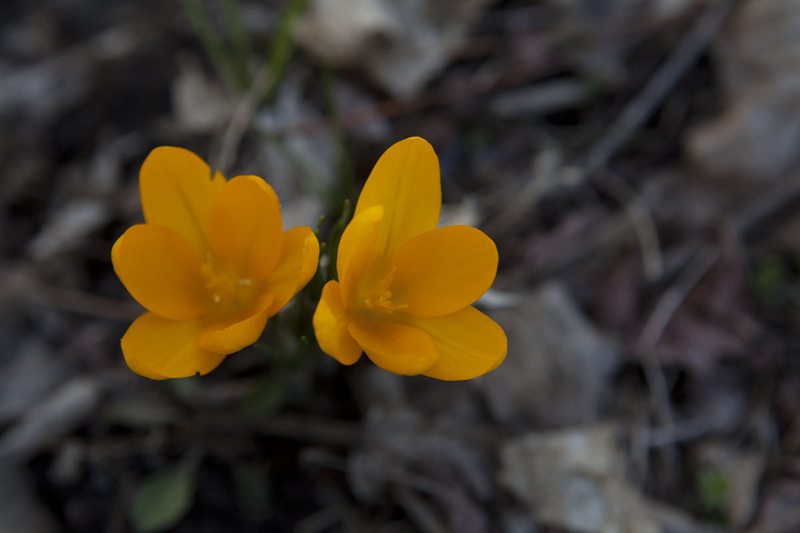 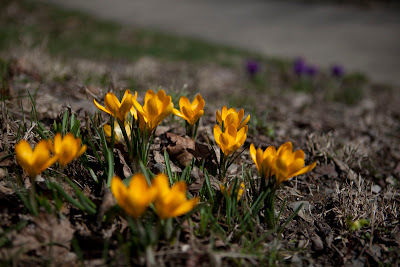 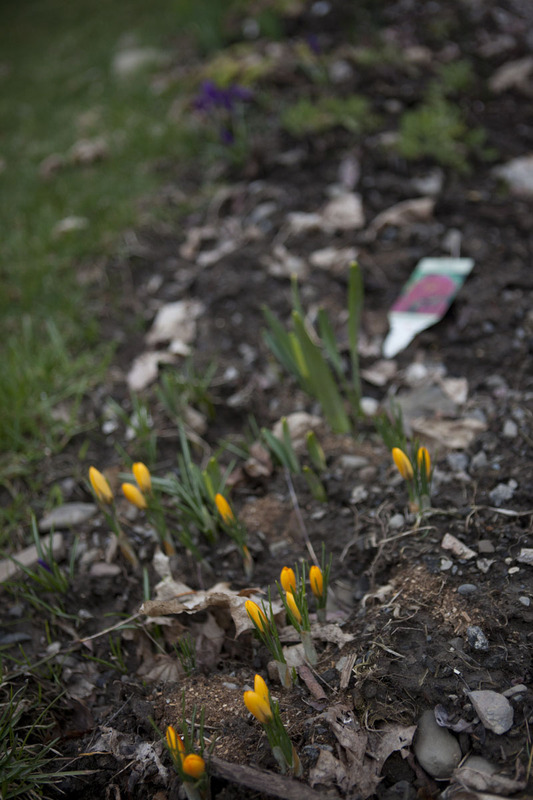 Crocus Flavus "Yellow Mammoth." These were a last minute purchase-- October sale at Van Engelen but they were a great purchase. They really stand out against the dark and muted colors of early spring. 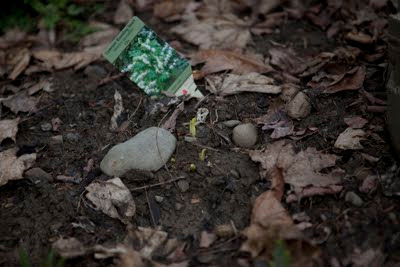 Early signs of a white Bleeding Heart, planted as a bare root last fall. 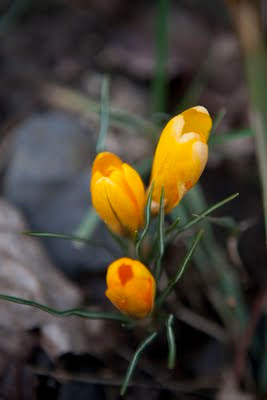 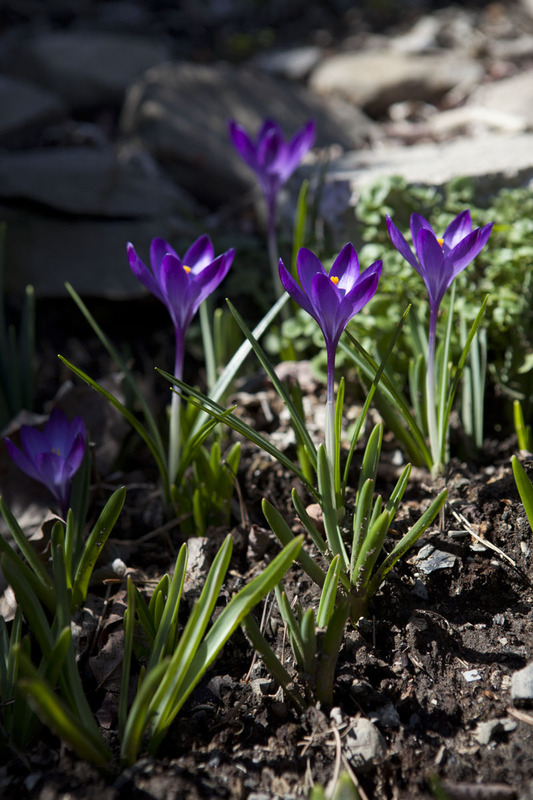 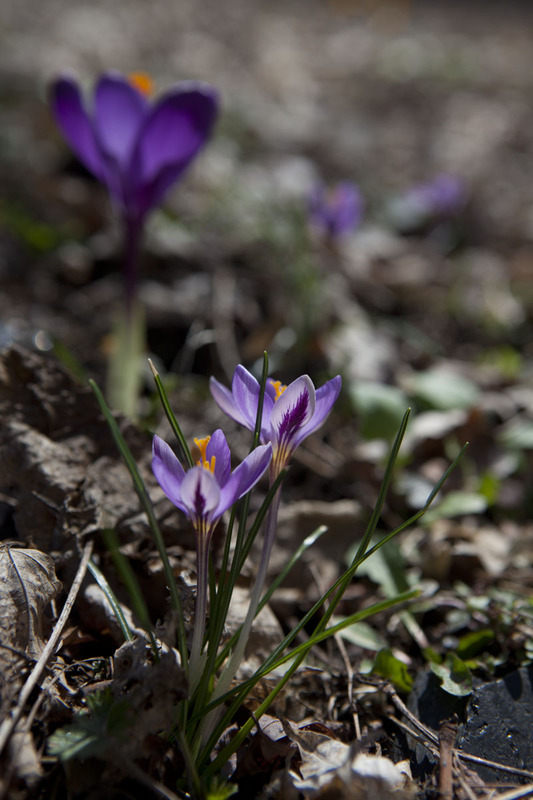 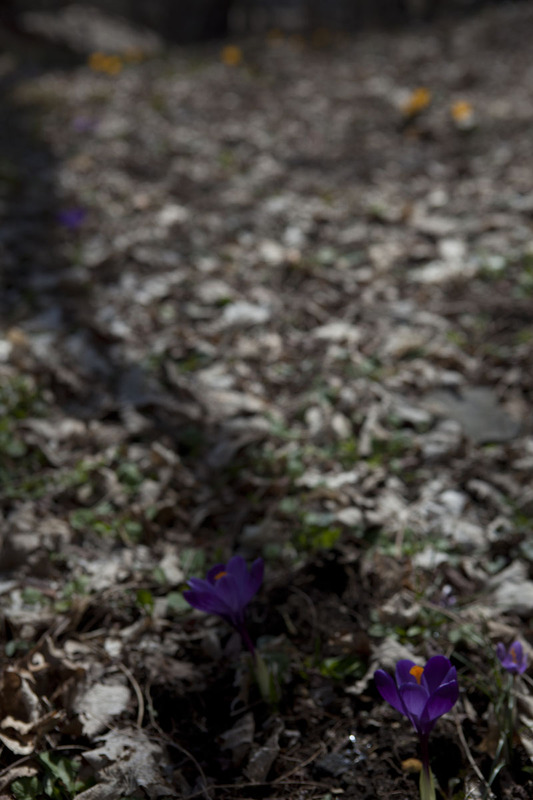 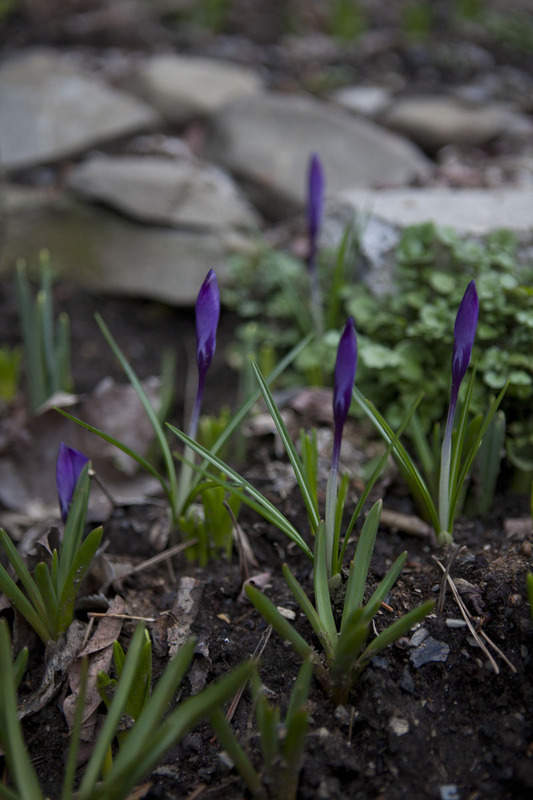 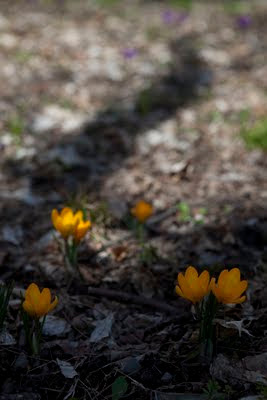 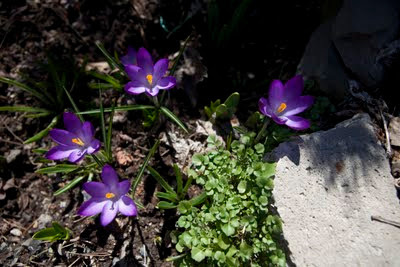 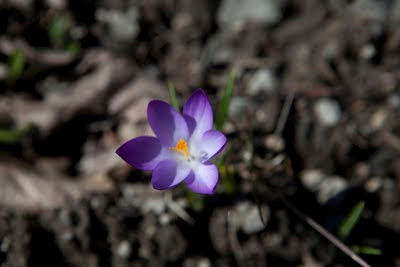 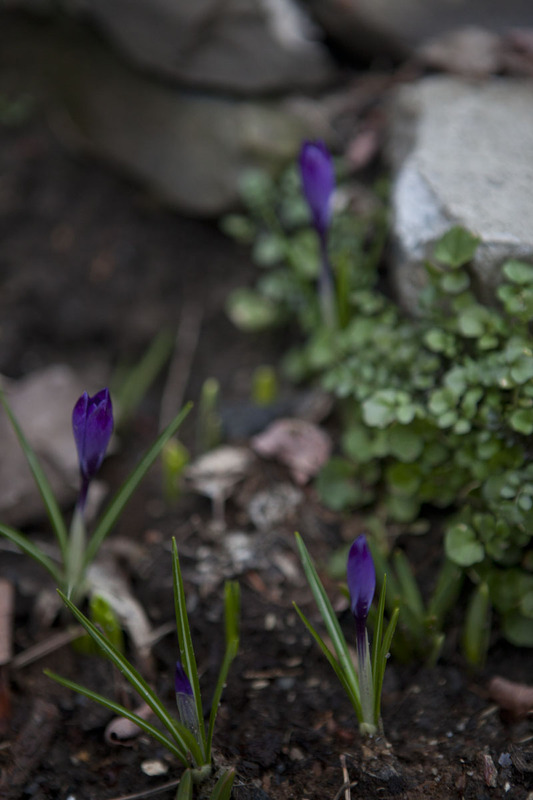 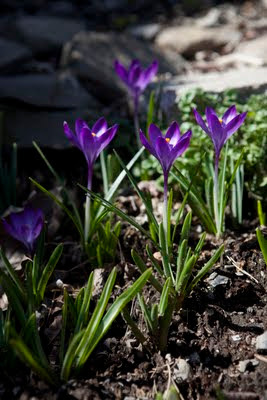 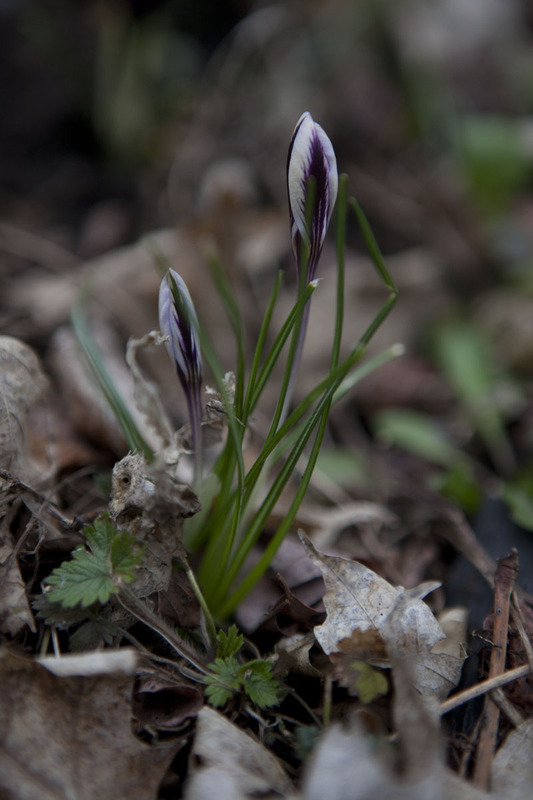 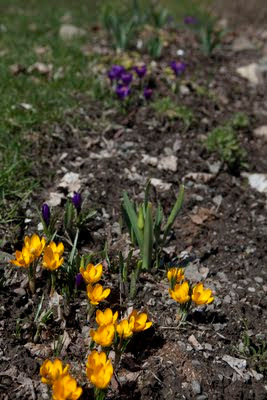 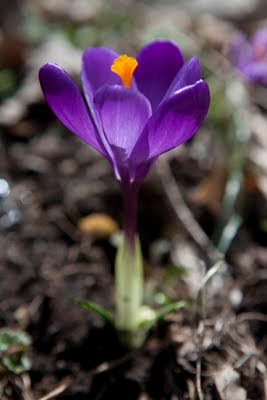 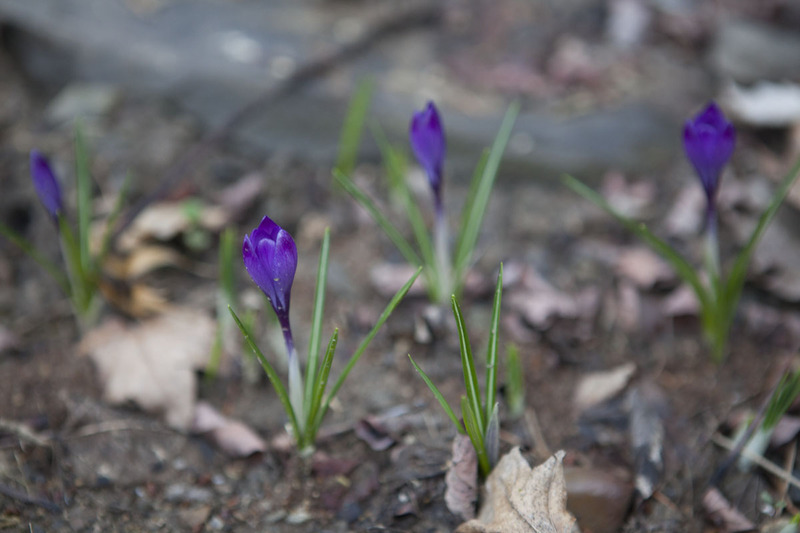 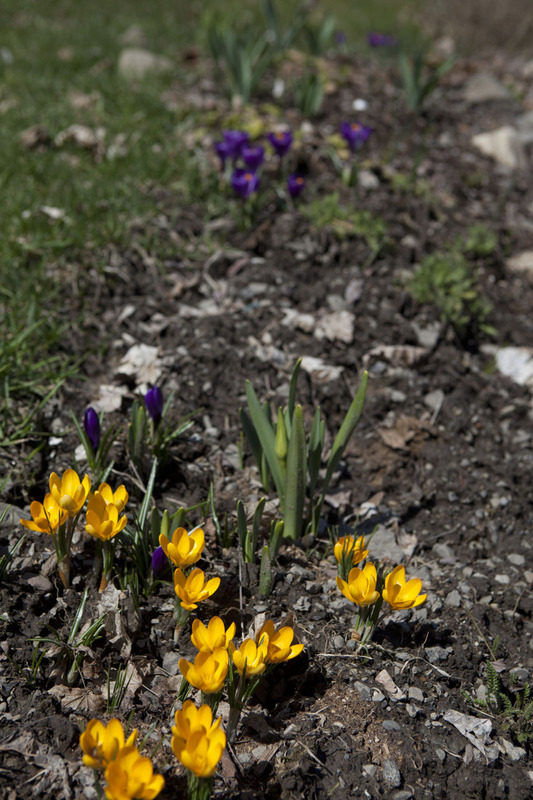 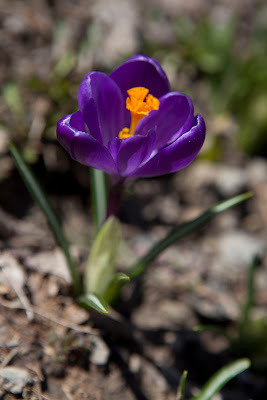 Crocus Biflorus "Spring Beauty": small but lovely! Crocuses coming up in the lawn. 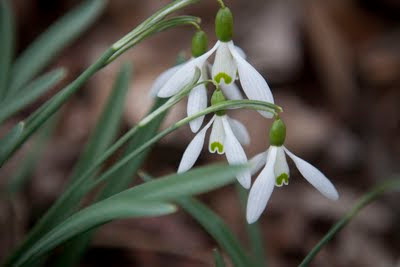 Volunteer snowdrows... 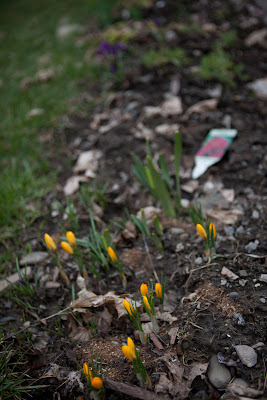 I didn't plant any!